Concerning Cohen, gates, Unknown, Stone and Unknown. Finally, the memorandum described an FBI investigation opened before the Special Counsel's appointment into "allegations that [then-Attorney General Jeff Sessions] made false statements to the United States Senate"
Mueller will NOT be in attendance - but Peter Carr, his spokesman, will be present. AG Barr "is expected to provide an overview of the report, explain his thinking and address process questions." There will be two versions of reports. The one being made public. And one with a lesser amount of redactions - but still containing redactions - made available to "a limited number of members of Congress." 1) Once again, I am being asked my thoughts on Dana Boente, currently the FBI general Counsel - having replaced James Baker - who is currently the subject of a criminal leak investigation. I have referred to Boente in previous articles as The Fixer. 2) Boente held key positions in the early days of Trump Admin - while retaining crucial position as US Attorney for Eastern Dist of VA until early 2018. 3) On Jan. 13, 2017, Obama issued a last-minute executive order that altered the line of succession within the DOJ. The action was not done in consultation with the incoming Trump administration. Removed from the succession line by Obama was Boente. 2) Following AG William Barr’s refusal to recuse himself from the Special Counsel probe, a series of revealing and interconnected events rapidly unfolded. 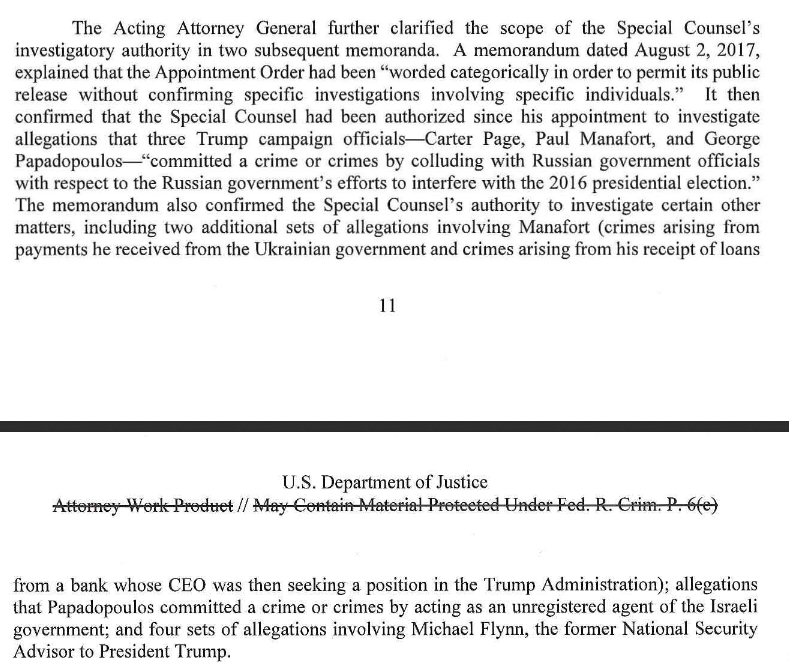 3) And in the weeks leading up to the pending release of the special counsel report a nearly unprecedented volume of news events connected to the Spygate scandal, Ukraine, and ongoing investigations were released. Gowdy: If you're a law enforcement officer wearing a wire-which also happened in this case...What was the factual predicate for US govt to monitor the conversations & activities of 2 campaign officials? Wearing a wire?? Believe this is new. @GeorgePapa19 is Gowdy referring to wiretapping of you....? 2) Serhiy Leshchenko, a Ukrainian member of parliament, was a common thread involved in Democratic opposition research efforts into former Trump campaign Chairman Paul Manafort. 3) Leshchenko, along with Artem Sytnyk, the director of Ukraine’s National Anti-Corruption Bureau, was responsible for publicly disclosing the contents of the Ukrainian “black ledger,” which implicated Manafort, to the media. July '18 you said it was "after the election"
Baker: Some of the parts that David Corn gave us were parts that we did not have from another source. Mr. Baker: [I] think I assumed at the time or knew, he may have told me, that he got it from Simpson or somebody acting on Simpson’s behalf. 1) Day 1 of former FBI General Counsel James Bake's testimony now released by Rep. Doug Collins. As before, this transcript appears 100% identical to the one we reviewed and first wrote about in Jan. '18. Here is a fairly lengthy article from Jan 31, 2019 written following our previous review of Priestap's testimony. As with all the transcripts released by Collins thus far, Priestap's transcript appears to be 100% identical to the one we reviewed. The one difference being that ours did not contain any redactions. On March 17, Dowd emailed a statement to the Daily Beast (below). He claimed to be speaking for @realDonaldTrump but later said he was speaking for himself. 2) In a recent interview w/Byron York, Dowd claimed that Mueller was interviewed on May 16 by Trump and Rosenstein for the position of FBI Director. This would seem to be highly unlikely. And a surprising stance for Dowd to put forth. Dowd was also not present at the meeting. 3) That Mueller would be considered for FBI Director seems highly unlikely. Mueller, then ~72 yrs old, had previously served as the FBI Director from 2001 to 2013—two years beyond the normal 10-year tenure for an FBI Director. This also required special approval from Congress. 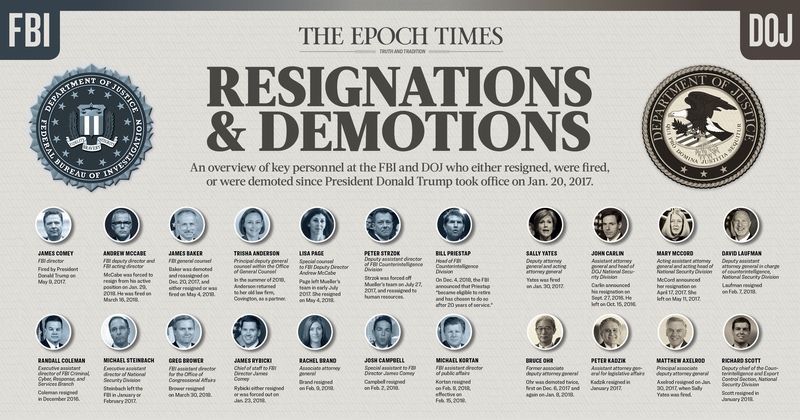 New Article @EpochTimes with infographics. The Nellie Ohr transcripts are out. We have two articles that detail elements from her transcript. 2) It raises a point we've been highlighting for some time. 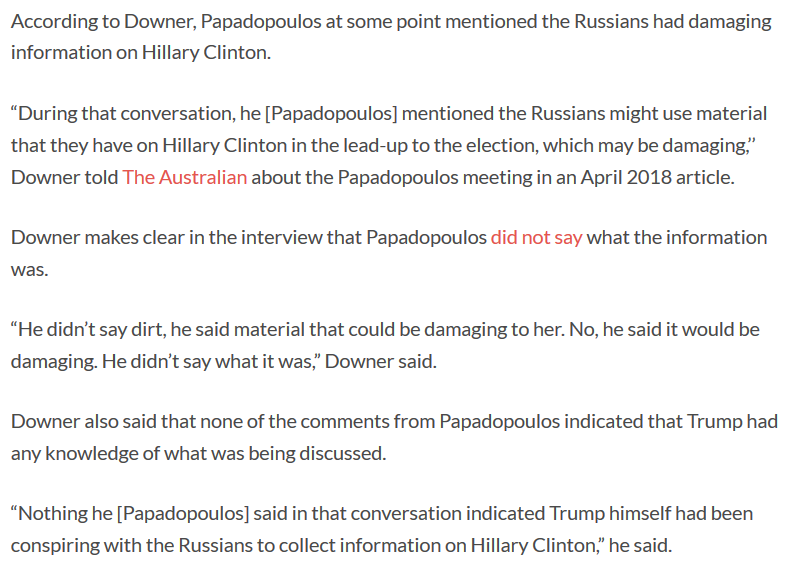 3) The FBI was informed on July 22, 2016, of the Papadopoulos–Downer conversation. A conversation that appeared to have been set up in advance by Downer. However, Downer's version of events make the actual conversation seem almost pedestrian. The Trump Campaign did not conspire with Russia. "DAG Rosenstein and I [Barr] have concluded that the evidence developed during the Special Counsel's investigation is NOT sufficient to establish that the President committed an obstruction-of-justice offense." Mueller left Barr & Rosenstein to examine the evidence regarding obstruction. Neither found evidence of an offense. Rosenstein is deserving of an apology from those who trashed him despite ongoing evidence to the contrary. NSA Dir Rogers "stated in a classified letter to Congress that the Clinton campaign-funded memos did factor into the ICA." "moderate confidence" is DC-speak for the report is garbage. Thus far, when texts have begun leaking there's more on the follow. This could become rather interesting. Article by @JerryDunleavy "DOJ inspector general confirms yearlong investigation into FISA abuse is still active"
Horowitz: “We have a FISA-related review that people might have heard about that the deputy attorney general asked us to take a look at. But I’m not going to dwell on that." Lynch [Moderator]: “I was also asked to just tell everybody — please don’t ask about an ongoing investigation. Don’t ask Michael [Horowitz] about the FISA-Carter Page investigation. He can’t talk about it. As much as we all want to know what the finding will be." 1) Let's do this properly. Intertwined discussions that take place often become fascinating defacto threads. Testimony reveals Ohr sought job at Fusion GPS. Emails reveal she frequently sent Russia research to Bruce Ohr and other officials. 2) Nellie told congressional investigators that she initiated contact with Simpson - after seeing Simpson's name in an article. Nellie was hired by Fusion GPS approximately eight months before the firm hired former British MI6 spy Christopher Steele, author of the dossier. I don't find this particularly surprising. Barr has a lot of work in front of him. 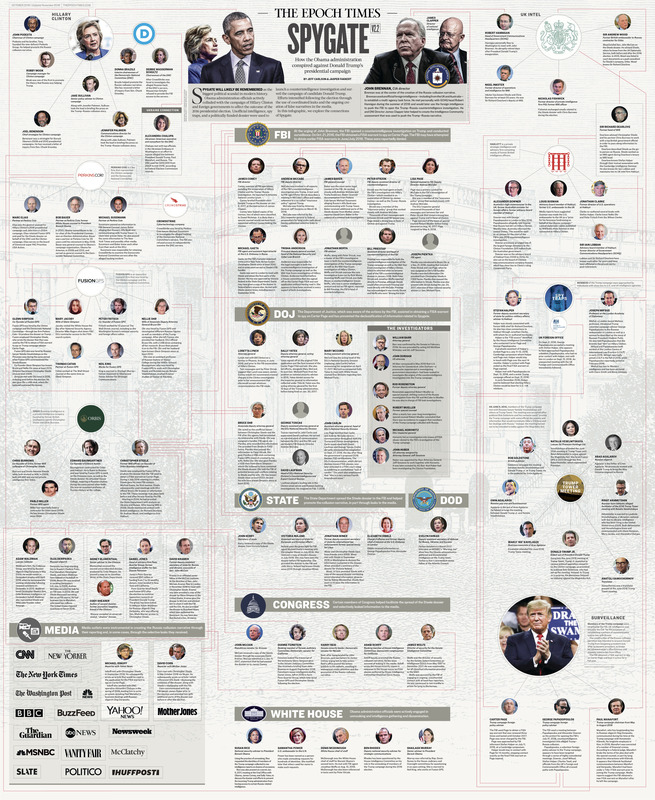 There will be plenty of breathless spins on news, but getting fully up to speed on Mueller, Horowitz, Leaks and all the other DOJ investigations - FARA, money laundering etc. is gonna take time. Discussed need to remove Comey early w/then-Senator Sessions. Took Russia Inv away from McCabe. 8/17 Put in charge of Leak Inv. 10/18 Appointed to lead OCDETF task force. Affirmed by Trump and kept in position. 1) David Kramer, an associate of McCain, provided updates to Fusion GPS co-founder Glenn Simpson, former MI6 spy and dossier author Christopher Steele, and other members of the media regarding McCain’s meeting with FBI Director James Comey. 2) Kramer, a private citizen, was providing updates to a former British spy as to what a sitting senator was saying to the director of the FBI. Other members of the media also had some awareness of McCain’s intention to meet with Comey. 3) Kramer revealed that he had contact with at least 14 members of the media regarding the Steele dossier.